Hanoi (VNA) – The People’s Procuracy of Hanoi city has completed the indictment to prosecute Nguyen Huu Tien, born in 1983, residing in Thuong Tin district, for the charge of violating regulations on the protection of endangered and rare animals under Article 244 of the Criminal Code 2015. On August 17, 2018, the Investigation Police Agency of the Hanoi Department of Public Security coordinated with police in Nhi Khe commune (Thuong Tin district) to conduct an administrative inspection of Tien’s carpentry workshop. 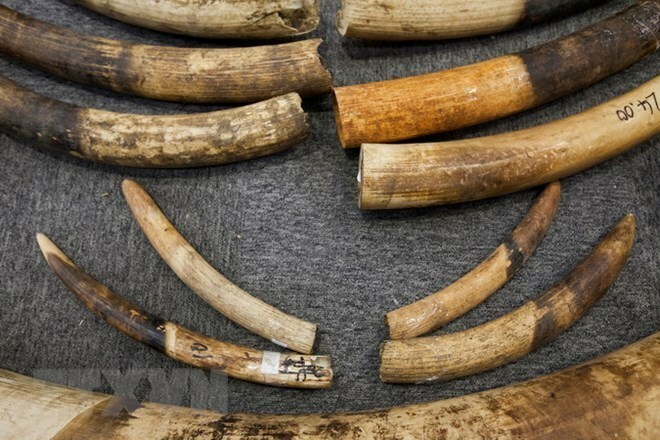 While raiding Tien’s house, the relevant forces continued to seize many crafts weighing a total of 85kg which are suspected to be made of ivory.